If you follow me on Instagram, you'll have noticed that a little while ago, I received a gift from the lovely Tear Drop Designs. Tear Drop Designs are a jewellery brand that makes wish strings and necklaces by hand, all for incredibly low prices. Considering everything is made by hand, I was surprised to see everything was so amazingly cheap! The lovely Beckie from TDD got in touch with me and asked me to choose a bracelet from their website to review. After some painstaking decision making, because they’re all really pretty, I went for the “Tough times don’t last, tough people do” wish string. I was really impressed with the quick postage. I ordered it from Beckie, and received it the next day! It came in a small padded envelope to avoid damage, and was wrapped in gold tissue paper, with a little sticker that said “Handmade with love by Teardrop”. It came with a little card that read “Tough times don’t last, tough people do”, which is just one of the sentiments behind many of their pieces. They have many different pieces with different sayings and attitudes attached. I’m currently going through a very difficult time with all kinds of medical and personal issues, so this one definitely stood out for me. It is a very small bracelet, and I have giant sausage fingers, so it was very difficult for me to tie the bracelet tight enough to get it to stay on my wrist. The first day I had it on, it came off my wrist in the shower and nearly went down the drain! I did however finally manage to get it tight enough (with a little help from my boyfriend), so I didn’t have to worry about it falling off. I was worried about it snapping because it looks so dainty, but it’s really strong, and it has survived my cat clawing at it! I love it. It’s small enough to not get in the way of my watch or Fitbit, and noticeable enough that people at work have commented on it, asking where it’s from. Not only do they have a great collection of jewellery, they also have a gorgeous “Butterfly Bracelet” for £3. £2 of every purchase goes straight to Claire House Children’s Hospice. If you aren’t aware already, Claire House is a hospice in Bebington that offers support and care to families whose children sadly won’t live to be adults. Nurses offer support to parents so they can be just that, and not feel like 24/7 carers – so they can spend their time with their children, enjoying every possible moment. There was an exhibition on at Liverpool Museum a few months ago, in support of Claire House, where they played a short video with interviews of both parents and children that have had experience with the hospice. I unashamedly spent the whole fifteen minutes sobbing so loudly, that a few older ladies came over to comfort me. (I’m getting a little teary thinking about it now) Even if you decide that TDD isn’t for you, Claire House is definitely something you should consider supporting. 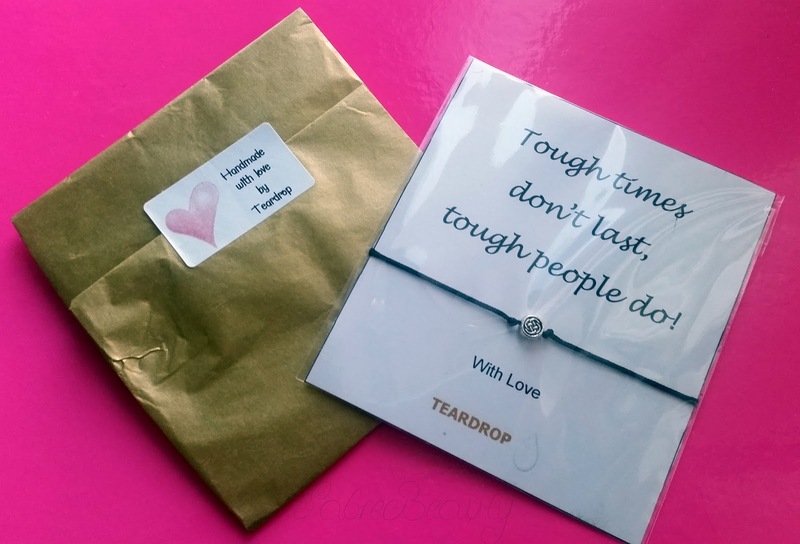 If you’re looking for a lovely handmade gift, or even just to treat yourself, I’d definitely recommend getting yourself something pretty from Tear Drop Designs.